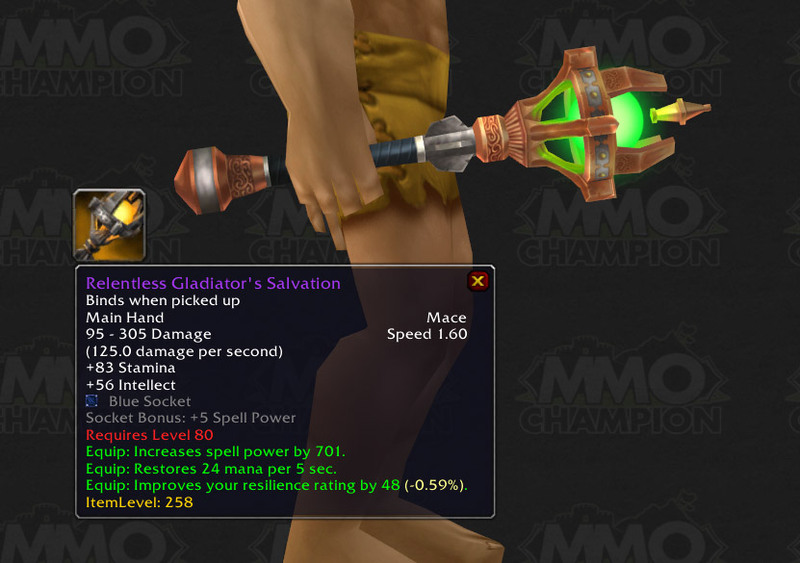 But just look at the healing mace There is a fine line between simply awesome, and turning the game towards PvP. 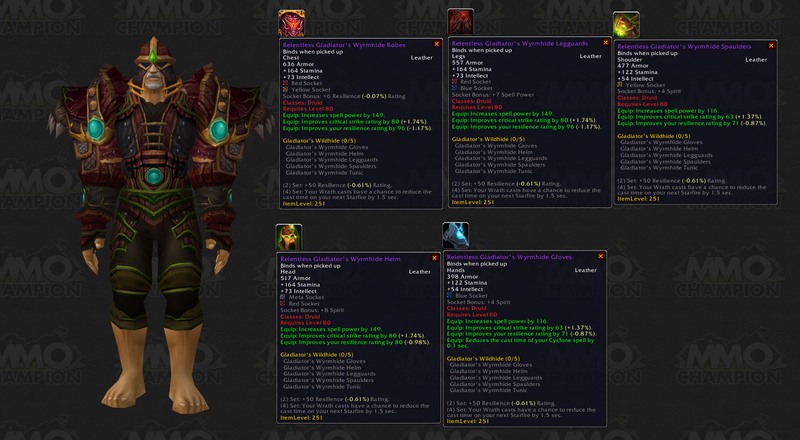 Already Druids are complaining that the single best tanking weapon in game has to be gotten through PvP because Ulduar simply doesn’t offer a reliable equivalent. I assume this also means that the Crusader’s Coliseum will be dropping ilevel 258 pieces as well to make up for the fact that that there is now such a massive gap between a level 80 heroic epic and a t9 epic [almost 300 spellpower difference, which is a LOT of scaling upwards in only 3 tiers of gear, this points more towards Blizzards intention to do a total gear reset]. This doesn’t even factor in the issue that Blizzard might just be thinking of releasing Tier 10. I just found this all rather interesting.